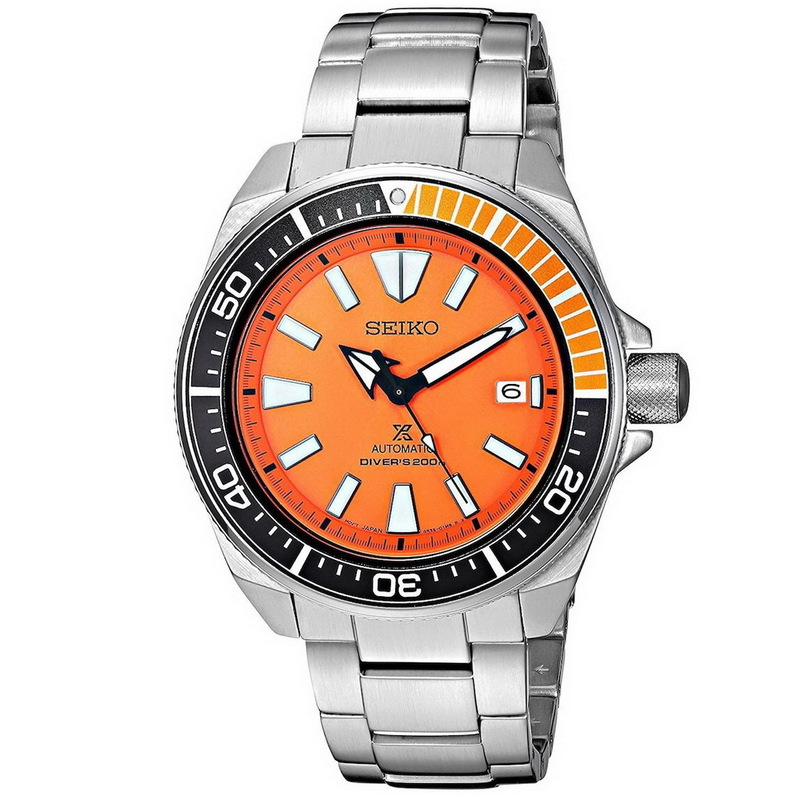 This is rather apt; just as Halloween is approaching, Seiko release an orange Samurai! Very few orange Seiko Divers come to mind other than the obvious, the Monster, so this is likely to grab some attention and deservedly so. Its 44mm in diameter case is made from Stainless steel. 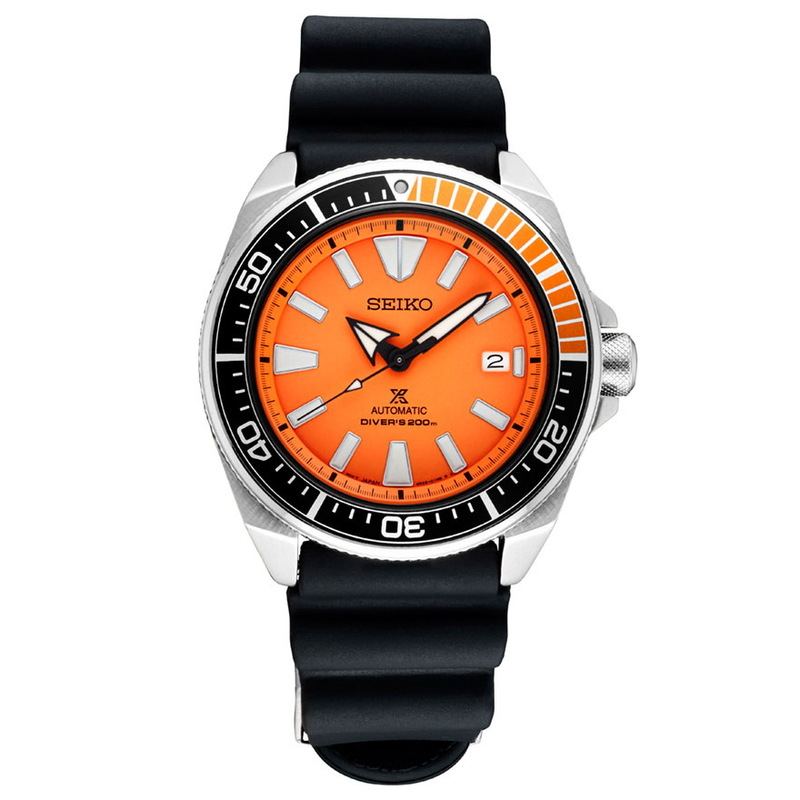 It is fitted with a black rotational diver’s bezel with an orange 15-min scale, and a Hardlex mineral crystal. The case has a water-resistance up to 200 meters. Powering the Orange Samurai is an in-house, Seiko Japan automatic 4R36 caliber with 24 jewels, a beat-rate of 21,600 vph and a power reserve of 41 hours. Its dial is in orange with black Seiko LumiBrite filled hands and white markers. The Prospex Diver Ref. SRPB97 comes on a Stainless steel bracelet but is also supplied with a black silicone divers strap with a Stainless steel buckle. By the way, the Samurai gets its name from it Katana-like (sword) minute hand. Its MSRP is 575USD. Expect to see it hit the shelves as of next month.